Essam Mohammed said economic academic that linking Iraqi trading dollar outer is a benefit to the economy in order to stabilize global orientation accompanied General Kuna. And l» morning» this is positive by facilitating openness of the world economy, explaining the difficulty of replacing foreign business dealings in another currency being would create an imbalance in global currency market in terms of increased demand for a particular currency. He's interested in Economic Affairs Abdul Zahra Muhammad: no economic barrier to contend Iraq in euro instead of the dollar, but the dollar culture of the region generally make it difficult to do business in euros instead of dollars. He explained to» morning» among these reasons is that ancient world currency and us currency be dealt to sell oil as long as the dollar's dominance, the rest of the other currencies such as the euro, for example, though he recognized global currency unless they are done talking, assuring at the same time, they reflect the weight of the EU bloc. The Iraqi market is experiencing since months significantly in local currency the dollar having seen in 2011 stable dollar continued for about two years, during which record a price ceiling within 1220 dinars per dollar, but the Central Bank selling, slipped because of a lack of supply of the dollar proceeds from the sale of oil price decline reflected globally at this altitude, making the dollar accomplishes leaps sometimes reached eight degrees compared to previous periods. According to the economic cycle academic d. Awad Fadel, exchange policy in Iraq based on walk in one direction only by continuing ascent in the nominal exchange rate of the dinar as the main tool in fighting inflation. He added: this administrative way in moving the nominal exchange rate applicable behavior of banks and money transfer companies and foreign exchange companies in buying and selling dollar, revealed a close relationship between high dollar selling prices exceed the official purchase price to traders and companies and businesses and reduced the dinar. And the contrast between the rigid administrative price (exchange rate) and the high flexibility of the exchange rate burst under the pressure of selling dollar parties to end asylum-seeking the maximum profit, means restricting the anti-inflation intervention policy pursued by the Central Bank through the administrative control of foreign exchange value of the domestic currency. He explained that the foreign currency in the market when the exchange rate is higher than the official price, sellers and importers will reap dividends on Monetary Union than was possible under the market mechanism and restrictions on sales of foreign currency. 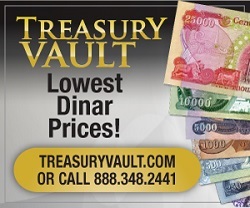 The actual or real effect to peg the dinar to intervene administratively with a free exchange rate for the dinar value less than the official exchange rate suggests that there are hidden or implicit reduction to the value of the local currency in the market. He continued: he founded the repeated Declaration of intention of the Monetary Authority in the dollar reduced to 1000 dinars for a clear framework for this policy and at the same time has created the official circles and popular feeling against any deterioration in dollar-dinar exchange rate and therefore resist amendment thereof and if necessary economically in the future, thus lacking the necessary flexibility-exchange policy to draw a limit to the official exchange rate volatility and absorb any embarrassment as a result of exchange rate fluctuations.